100,000 Brand Impressions per Hour? Spectators Will Become YOUR Followers! Your Brand deserves bonus impressions...we create them! The ULTIMATE in True Experiential Advertising! We fly your Brand and spectators become your participants. We build relationships for lasting impressions. At Cheers Aerial Media we have two primary and passionate goals...Make your brand visible and memorable...and make people happy to see you. 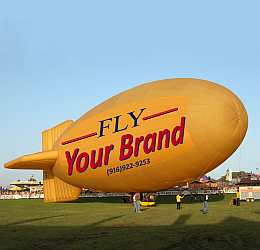 Fly your brand on the ultimate platform, a real piloted airship measuring nearly half a football field in length! 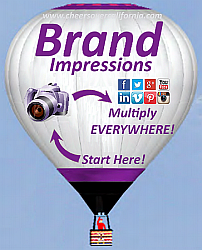 Branded Hot Air Balloons - Capable platforms for targeted areas and events - Outstanding mobile visibility! Cheers Aerial Media Hot Air Balloon festival event management services. 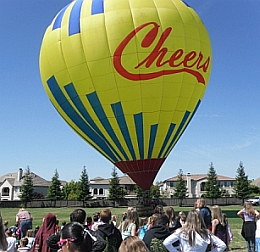 Cheers Aerial Media teaching children about thermodynamics and mankind's ealiest form of flight. What kind of Visibility Works For You? And make people happy to see you. Great video from Larry Whitaker on Vimeo! 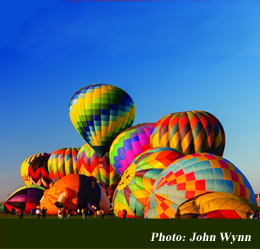 Cheers Aerial Media is a full service Hot Air Balloon and Airship marketing and public relations company. Our primary goals are to help make your brand more visible and memorable... and to make people happy to see you.